The Sheriff's Specialized Units are staffed with highly trained personnel prepared to respond to a variety of critical incidents and traumatic events. These units operate in a high risk environment and are dedicated to providing a safe resolution to incidents that threaten the safety and security of the community. All units participate in continual rigorous training programs that provide them with the skills and expertise to address the most difficult situations. Sheriff's Specialized Units are available on a twenty-four hour basis to respond to any location within the County, Region, or State. The San Mateo County Sheriff's Office S.W.A.T. Team is comprised of sergeants and deputies from the Sheriff's Office and operators from the Belmont and East Palo Alto police departments. 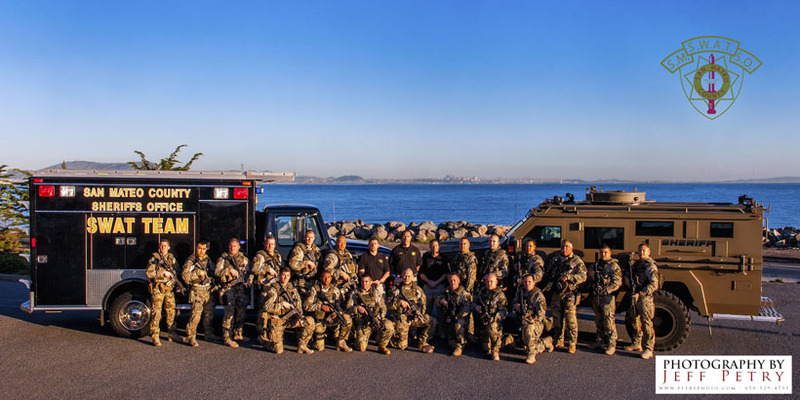 The SWAT Team's mission is to provide specialized support in situations posing a threat to the life and safety of the citizens of San Mateo County. Many of these situations involve law enforcement tactical operations in a high-risk environment. 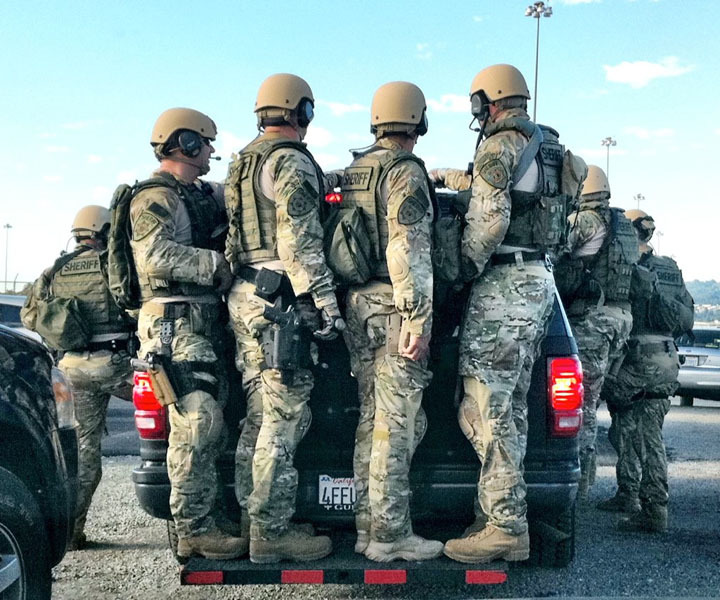 The San Mateo County Terrorism Counter Assault Team (TCAT) was formed by the San Mateo County Sheriff and Police Chief's Association as a result of terrorist acts against the United States of America on September 11, 2001. 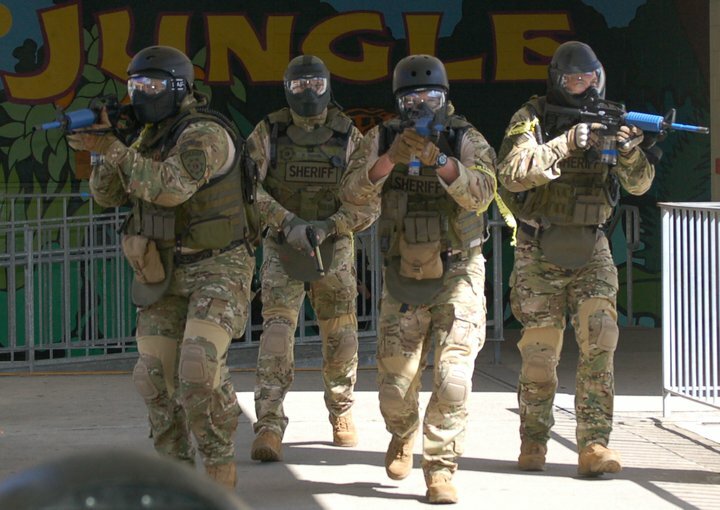 The TCAT Team is a specialized emergency responder team that consists of tactical operators from established SWAT resources within this county. The team is capable of responding to, and operating in, a weapon of mass destruction environment as an immediate intervention team until federal resources can respond. The Sheriff's Office Law Liaisons are specially trained Sheriffs Sergeants and Deputies that provide support and guidance to the Sheriff's Office or other Law Enforcement agencies in the county. They help coordinate ICS practices during terrorists or natural disasters, preplanned events such as the Pumpkin Festival, the North Fair Oaks Festival and Dream Machines. They can serve in the roles of Operations, Planning or Logistics. The Law Liaisons also coordinates search and rescue missions as well as mutual aid requests. The position is an ancillary duty to their regular assignment. The Law Liaisons is on-call approximately once every six weeks for a week at a time. The Law Liaisons can be contacted through Sheriff's Dispatch 24hrs a day. The Crisis Negotiation Unit (CNU) is an on-call unit requiring quick response to situations where SWAT/CNU is needed. Members of the unit possess excellent communication skills and have the ability to work under stressful conditions in a team environment. Prior to appointment, members attend a basic forty hour course in hostage negotiations where practical applications as well as the psychology behind hostage taking are taught. In addition CNU members are Crisis Intervention Trained (CIT) trained which helps when dealing with those with mental illnesses. The unit is activated throughout the county and remains on scene until a successful conclusion is reached. The San Mateo County Sheriff's Office Honor Guard / Ceremonial Unit is made up of twenty deputy sheriffs and correctional officers from every division in the Sheriff's Office. The Honor Guard / Ceremonial Unit posts the National Colors at over twenty different events countywide each year. Additionally the Honor Guard / Ceremonial Unit attends and renders honors at several funerals and memorial services each year. In 2010 the Honor Guard / Ceremonial Unit conducted over 150 hours of flag postings and funeral details. 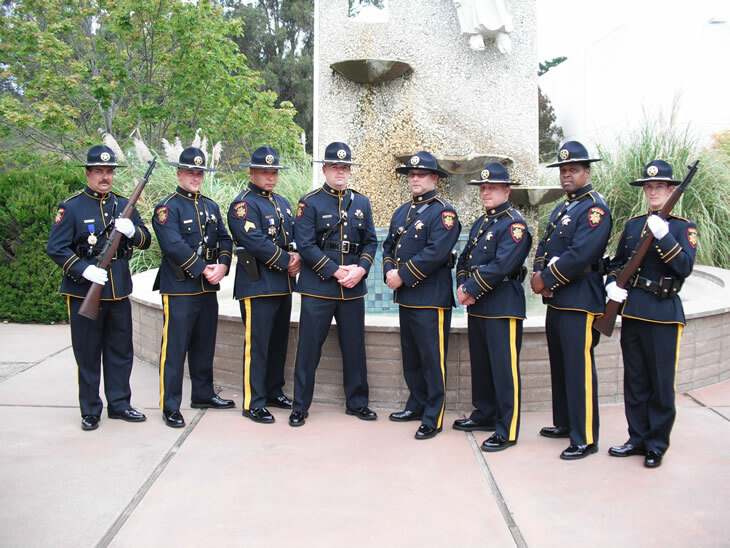 The San Mateo County Sheriff's Office Honor Guard / Ceremonial Unit participates every year in the San Mateo County Peace Officer Memorial Ceremony, The State of California Peace Officer Memorial and in 2010 sent two member to the National Peace Officers Memorial in Washington DC.